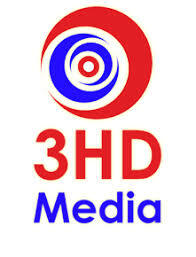 About Us 3HD Media is a rich digital media agency offering an endless list of digital services all aimed at engaging the customer on one single touch point that the customer never fails to carry along and that is their mobile phone. Entertainment giants are re-editing shows and creating new content for small screen, these are the BIG BUCKS in selling Television on the go… 3HD Media has absorbed the best technological brains in the country and bought them under one roof so that both advertisers and brand could benefit from the latest digital media technologies. It’s an effort of the experts who have strived hard to develop various mobile applications, one of them being Mobile Video Streaming that allows you an instant access to a particular content in a usable and appropriate format on any mobile phone. Our team possesses extensive intellectual technologies across the entire digital services like Mobile Video Streaming, Location Based Advertising (LBA)/ Marketing(LBM) Bluetooth Advertising, Internet Advertising, Video SMS , Video Emails, WiFi Advertising, Product Launches and Social Media. 1. Marketing Creating Partnerships and Digital Media. 2. Interns are not required to visit the corporate office frequently. 3. The projects will involve travel to an extent. 3. The interns will have to work on the project for 2-4 Hours (per day). 4. The candidates should have the eagerness to innovate and think differently. 5. Students will learn how to innovate in a group, how to think differently and we will bring out the entrepreneurial spirit within each one of them. 1. Telephonic interview. 2. Face to Face interview.